I wanted to start a series that displays my 10 favorite images from each year, with a bit of background on how I got the shot (including camera settings) and why it is one of my favorites! These are not always technically perfect photos, but often have a meaningful personal experience that makes it a favorite. 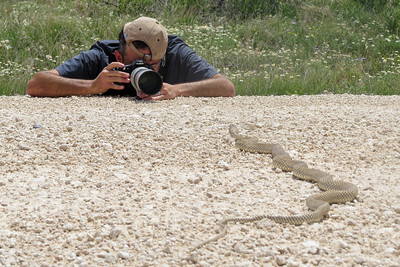 For wildlife shots, I've provided a few basic tips for observing and photographing the species. I've posted alternative shots (when available) below my favorite so you can see some of the images I had to select from after shooting a given subject; you may enjoy those more than you do my favorite in a series! I hope this helps you if you're interested in observing or photographing these species and landscapes - and I hope you enjoy the shots! Have a wonderful 2016! This photo represents one of my favorite experiences in recent memory. I was driving to 'work' for the day, getting an early start (photo was taken at 06:21) to beat the mid-August Texas heat. 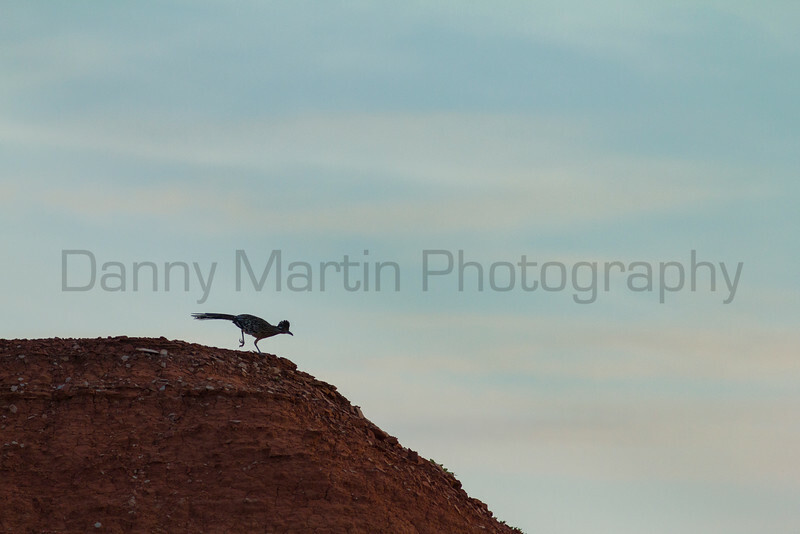 I just happened to notice this Greater Roadrunner (my favorite Archosaur) on a nearby hillside, silhouetted by the pink and blue sky right at sunrise. I got the vehicle stopped and window down just in time! The bird dipped it's bill to the ground, fluffed it's feathers and held wings pointed out to the ground. As it started calling, it raised it head slowly, fanned it's tail and primary feathers, and stamped the ground with a foot. I listened intently to hear a reply from it's mate, but couldn't hear what the caller must have heard - it quickly pointed in a different direction and started running down the hill. I was able to get a series of shots of the bird calling, listening, and then this one (my favorite) of it starting to run down the hill. I can't think of a better way to start the day than to get to see this... except maybe to get photos to share! This one has been on my top 10 'want' list of things to get a photo of for as long as I have been taking photos. I finally got a chance to get shots thanks to a serious of serendipitous events that led to a long work day, and included both a dead Aoudad and me taking a wrong turn during construction at Palo Duro Canyon State Park (ask me sometime). It was the end of a long day in early May, and I realized I was driving down a section of road that was closed to through traffic. 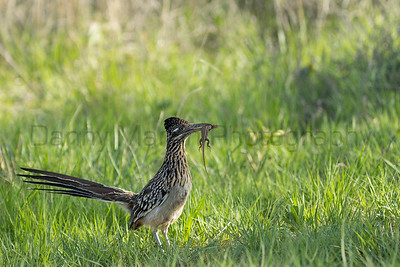 Right about that time I saw a Greater Roadrunner run across the road just in front of us! It stopped just on the other side of the road as I pulled across from it - and I noticed it had a Prairie Lizard in it's beak!! The setting sun was just high enough over the juniper trees to provide good light, and I quickly snapped as many shots off as I could, following it with my lens from the grass up onto a low juniper branch. This is the only time I've had to try to control uncontrollable shaking from excitement while taking photos. 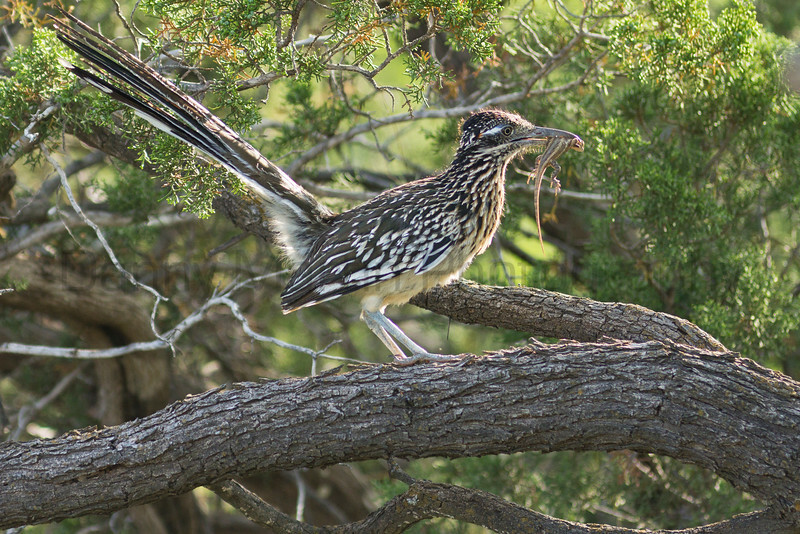 *This photograph was selected for the 2016 Colorado Lottery "Taking Flight" bird calendar. *This photo was printed on the inside cover in the 2016 Colorado Lottery "Taking Flight" bird calendar. 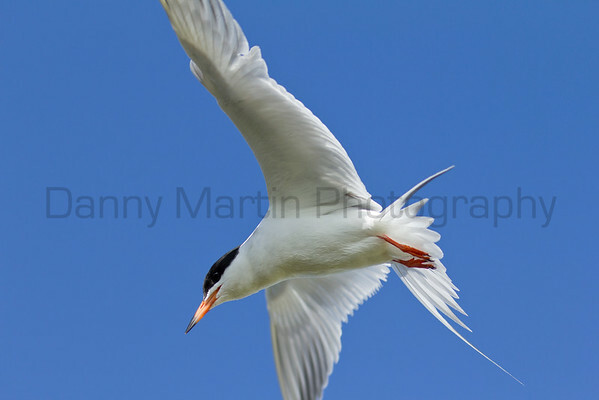 Forster's Terns are awesome! They hover briefly above clear wetlands to spot small fish before diving right in to catch their meal. My wife Laura and I watched several terns foraging around a wetland in North Park, Colorado, in early June while on a short trip. An existing observation blind on one edge of the large pool was perfectly placed for shooting the terns, which worked their way around the shallow edges of the pool every 15 minutes or so. To freeze the wings in flight I was shooting 1/1000 second, trying to keep the bird's head and body in frame as it flew by. Of the many hundreds of shots I took over 2 days, I came away with a handful of sharp shots that show the gorgeous bird's shape and color. It was hovering low enough over the water that the underside was fairly well lit by reflected sunlight. 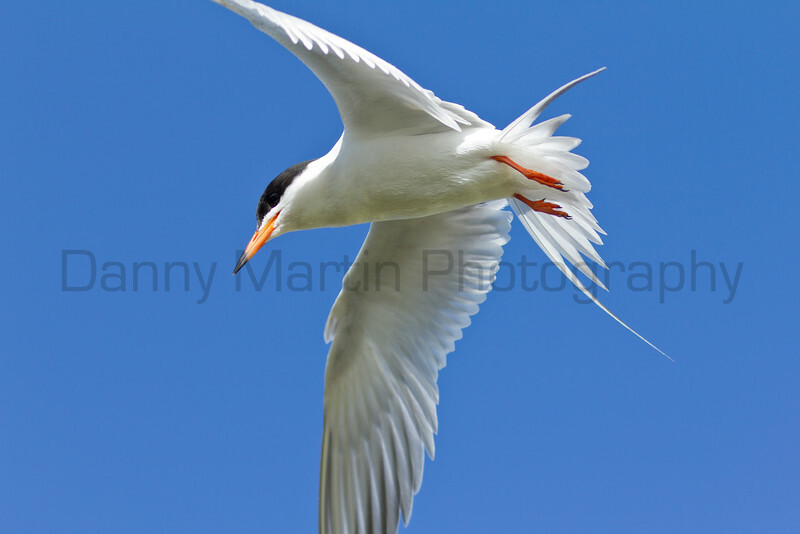 I find shooting birds in flight to be challenging, fun, often frustrating, and occasionally rewarding. This shot was only made because of the slow flight of the bird, a tiny bit of skill, and a lot of luck. If you're crazy enough to want to shoot photos of birds in flight, practice a lot with slow-flying species, use as long a telephoto lens as you can afford, and try to predict behavior of your target species - that will help you be lucky! 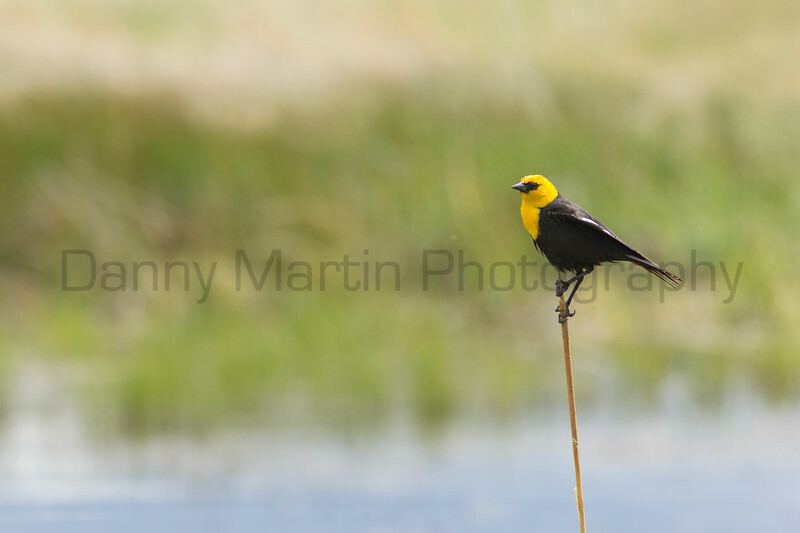 I've had an obsession with certain bird species, including the Yellow-headed Blackbird, since I took Ornithology as an undergraduate student at Kansas State University back in 1997 (where I learned the male's call sounds a bit like a distant train). 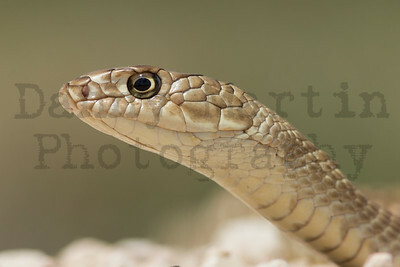 This is one of those species that I always love to see, but rarely see. On one of our two trips to North Park this summer, my wife Laura and I got to see quite a few Yellow-headed Blackbirds. This one was perched on an old cattail stem on the edge of a wetland just south of Walden, Colorado. I love the blues, greens, and yellows in this image - and how the black and bright yellow contrast enough with the background to really pull your eye to the bird. I was only able to get 2 shots off before he flew off, but I was thrilled with this one! To find this species, look for wetlands with cattails - a favorite perch of this species - near roads and use your car as a blind. 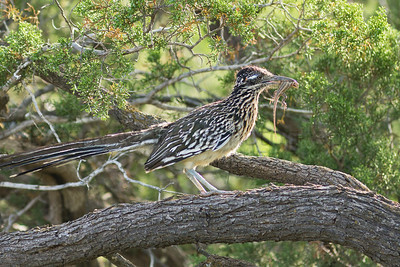 As with most photography of birds, you'll want the longest telephoto you can afford (at least 200mm). I discovered this male Prairie Lizard courting a female on a large boulder in Palo Duro Canyon State Park, just east of Canyon, Texas. He froze for a few minutes, allowing me to shoot a quick series of photos over several minutes. The background varied from sienna rock to a bright green shrub, so I moved around a bit to get shots with different background colors. 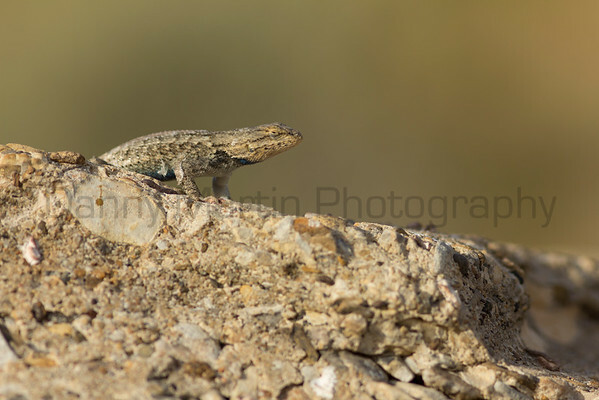 I liked the shot with the green shrub in the background best, as it matches nicely with the blue throat and lateral scales of the displaying lizard. 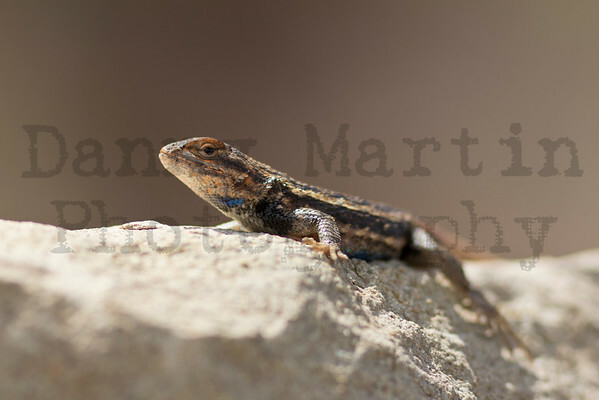 The lizard was above me on a steep hill, which in addition to being on top of this boulder made it easier to get a low-angle shot to better show his bright markings for breeding season (it was in early May). Because he was backlit from my approach angle, I used the afternoon sun (reflecting off the rock) to my advantage and bumped the f-stop +2/3 to help highlight his blue throat. 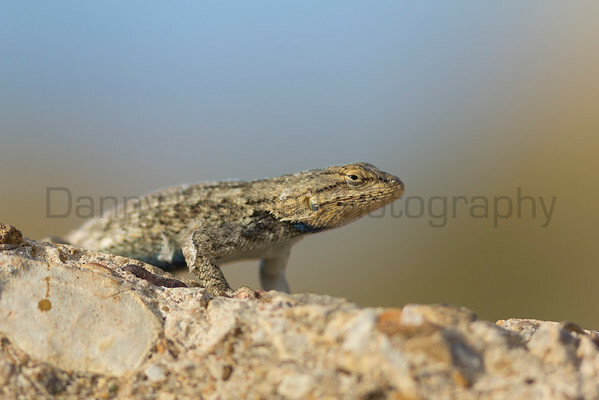 Prairie Lizards are relatively common throughout the Great Plains states, and are found in areas with rocky outcrops, sand-sage prairie, or open woodland savannas. They are territorial and often wary. 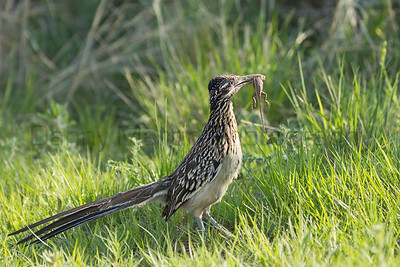 Use a longer telephoto (200 mm or longer) to help get close shots while minimizing your disturbance to the lizard. 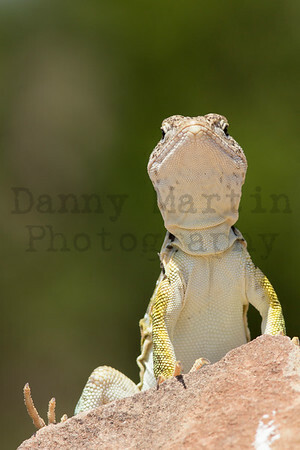 I was out looking for lizards with my friend Ben when I spotted this guy from about 100 meters away. 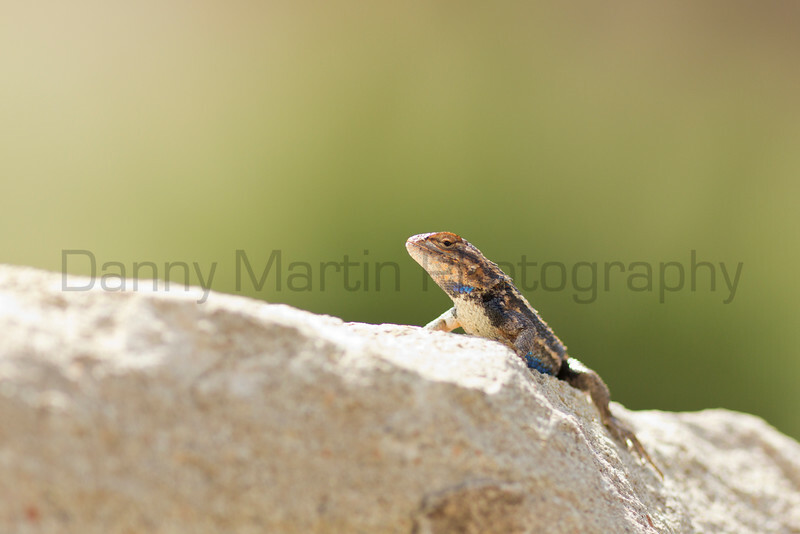 This lizard was on top of a large conglomerate rock catching the last hour or so of sunlight for the day. 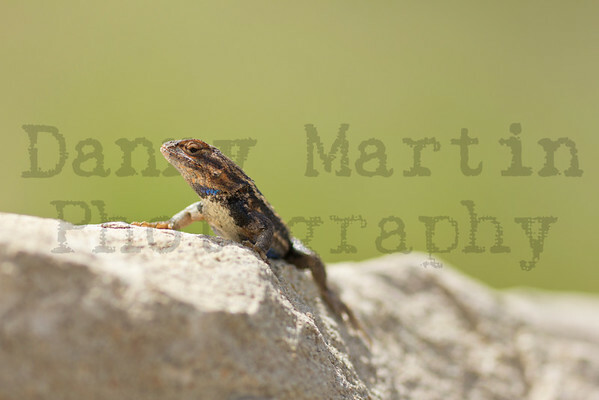 I don't typically find Sceloporus species on conglomerate rock in the Great Plains, but those in this area don't have any other options! This male wasn't very brightly colored (it was late September), but I wanted a low angle again to show what color he did have on his throat and side. He still had a few patches of old skin he was shedding, which unfortunately blocked some of his blue belly scales from view. To get this angle (i.e., great lighting!) 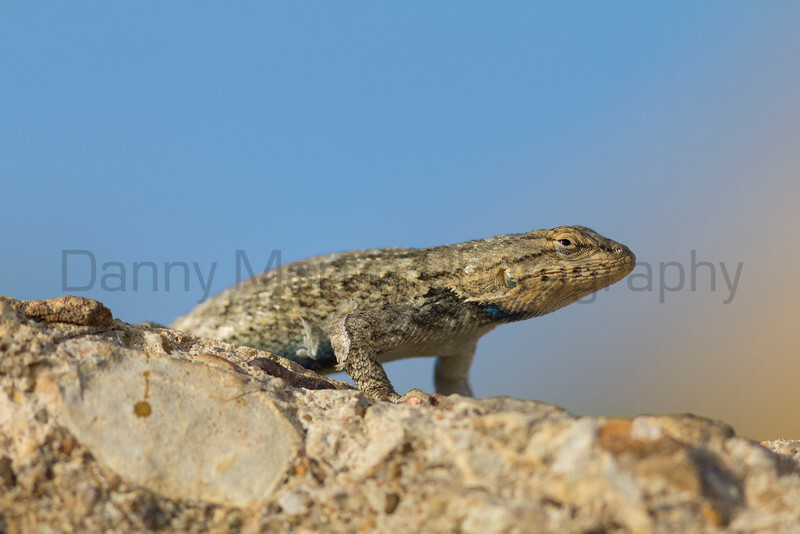 without disturbing the lizard, I approached slowly and indirectly, ending up rather intentionally with a steep hillside in the background to provide contrast with the blue Colorado sky. 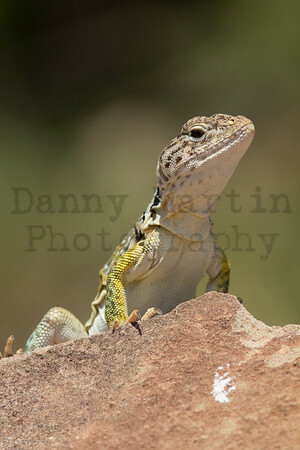 I was in one of my favorite places in Texas when I found this female Eastern Collared Lizard basking on a small boulder. This species likes it hot, and it was well into the 90's when I saw her just before 14:00 in mid-August. She was quite patient as I crouched down and approached slowly, periodically stopping to make sure I wasn't pressuring her to move. I moved slightly between shot bursts to get different background colors. The shot below was my favorite with two dark green junipers framing the blue sky, reminding me of an aerial view of a river with lush banks (albeit perfectly blurred by my lens), leading my eye to the lizard's gaping mouth. She briefly opened her mouth twice in the ~5 minutes that I watched her, and I was lucky to get a few shots off the second time. Lizards may open their mouth as a threat display or to help cool off - I'm not sure what her reason was, but I took the hint and backed slowly away after I took this shot. 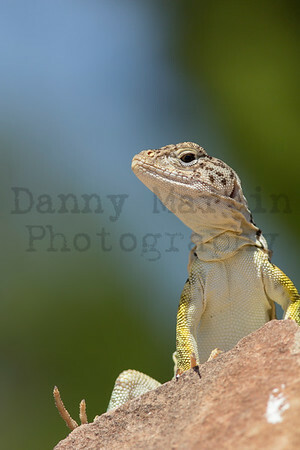 Eastern Collared Lizards are saxicolous (live among rocks), and can be found basking on their favorite boulder during the heat of the day. 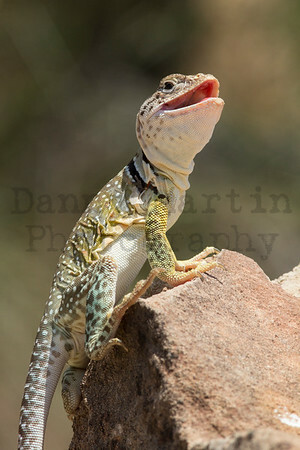 They are kings of the lizard world throughout much of their range, feeding on large insects, small mammals, and smaller lizards. They remind me of miniature Tyrannosaurs, and can run rapidly on their hind legs to escape predators! 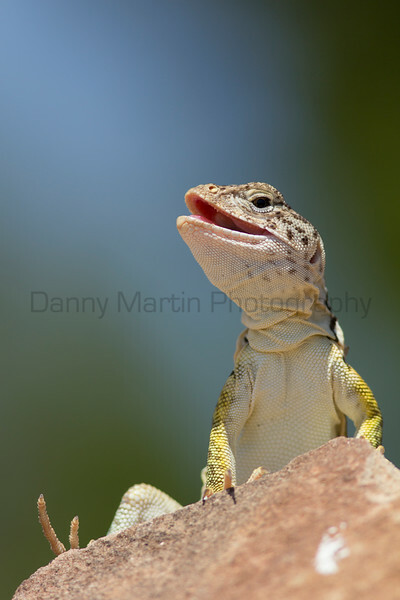 As with many saxicolous species, you will have better luck approaching these lizards from below or at the same elevation - approaching from above will almost always elicit a quick escape. 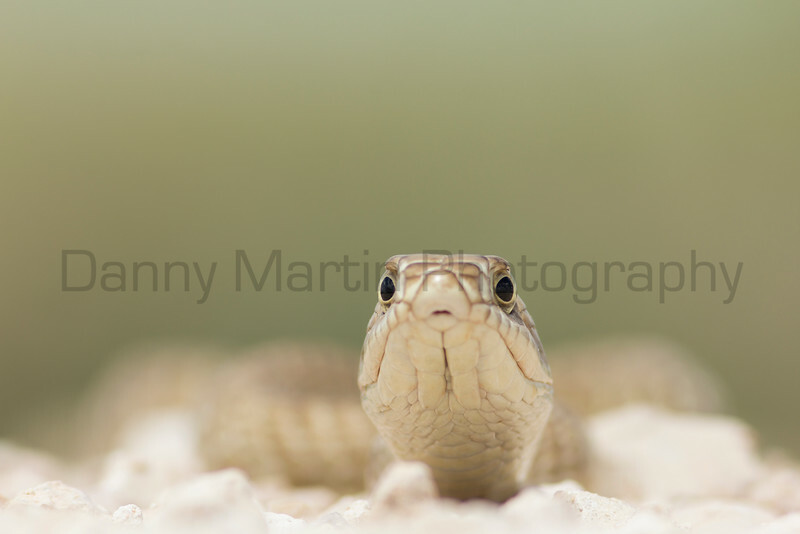 Coachwhips are one of my favorite snakes. They are active foragers, which means you're more likely to see them than, say, a sit-and-wait predator like a Prairie Rattlesnake. Coachwhips are aptly named, varying in color (depending on the individual) from light tan to brick red, but always appearing similar to a braided whip - but capable of moving much more quickly! 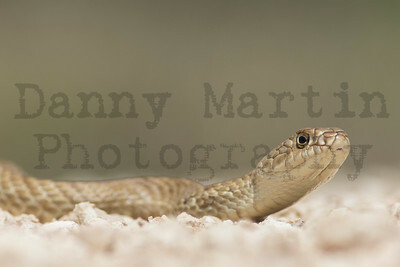 Coachwhips rarely stay put, often moving quickly away as soon as you spot them (and probably most of the time before you even see them). 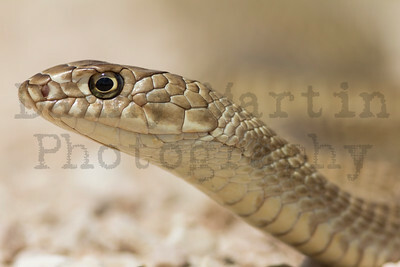 This individual was basking on a gravel road, and surprisingly remained there as I slowly approached and belly-crawled closer for this shot. I suspect this snake was still cool, as it was early May - but still the hottest part of the day so the snake was out basking. Caprock Canyon State Park is one of my favorite natural areas in Texas. They have one of only a handful of herds of genetically-pure bison (i.e., no domestic cattle genes). On one of the mornings I was there for my dissertation research this summer, I was up early packing gear into the vehicle for the day and happened to look over at the hillside where bison were grazing. The sun was not yet up, but it was light enough I could see several coyotes walking around. 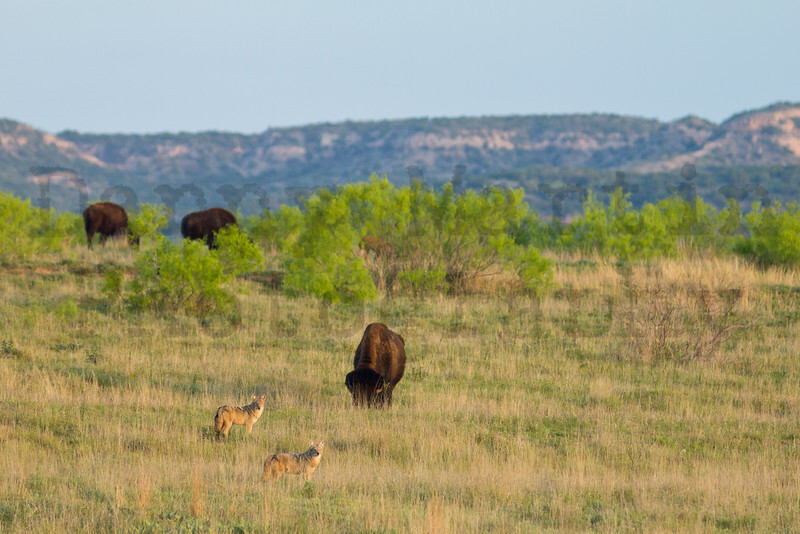 Coyotes and bison are two of my favorite mammals, as they are both icons of the west. While this shot was not technically great due to the low light, this shows a male and female coyote looking in my direction while a nearby bison completely ignores them. In my hurry to get this shot I failed to bump my ISO up, which is likely the reason I wasn't able to get a sharper image and why this image required a LOT more post-processing than I normally use. Putting yourself in a place such as Caprock Canyon, with beautiful landscapes and diverse wildlife, is the best way to happen across scenes like this. Many large mammals are more active, and thus more visible, during early morning and early evening hours - which luckily corresponds with the best light! Caprock Canyon State Park ,Briscoe County, Texas. I've always had an appreciation for the form of the horse. I took this photo for my wife Laura on a trip to North Park in Colorado (she has a print above her desk at home), since she is huge fan of the horse. 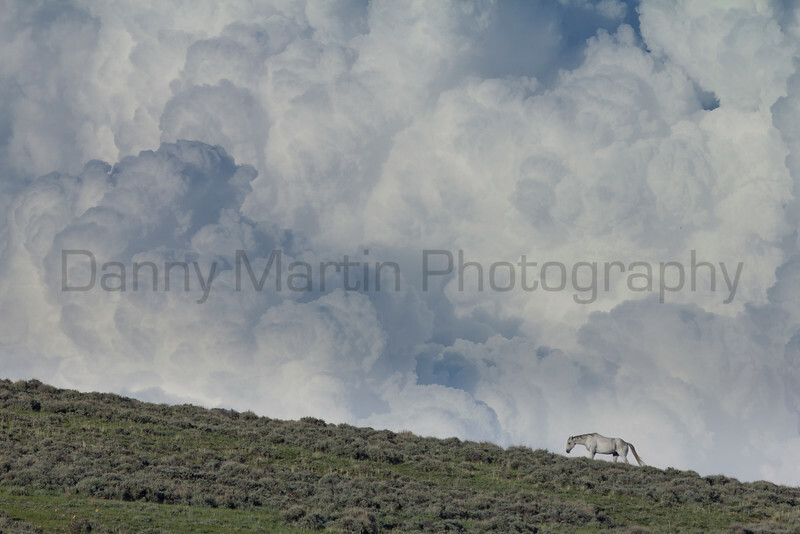 I loved how you can sense the vastness of the west here, with the billowing storm clouds and open sagebrush. This shot also reminds me of many of superb paintings of my 8th grade Art instructor, Phil Epp. He was an early positive influence on how I view art - particularly the juxtaposition of things in nature. Everything is art. Getting this image was all about being at the right place at the right time! I did bump the f-stop +1/3 to get bring more light into the cloudy scene. 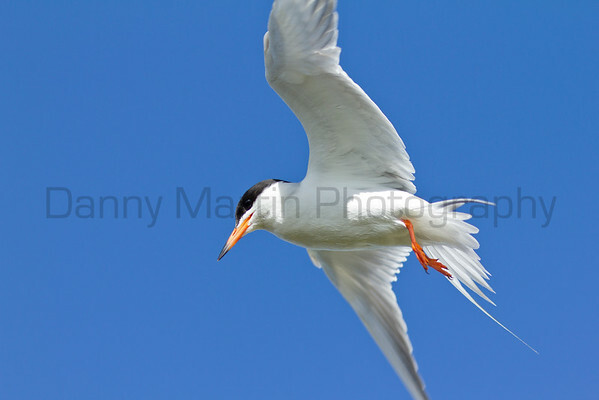 This photo looks great printed on metal (especially the semi-gloss finish) or canvas!